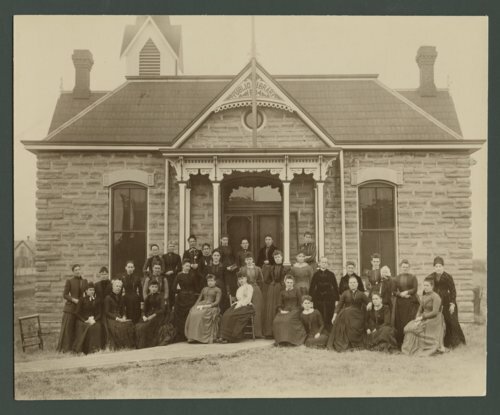 This sepia photograph shows members of the Woman's Hesperian Library Club in front of the public library in Cawker City, Kansas. The group raised $1,313.75 in monetary funds to build the facility so that women in the community could further their knowledge and interest for literature. Today, the building serves as The Cawker City Hesperian Historical Society.